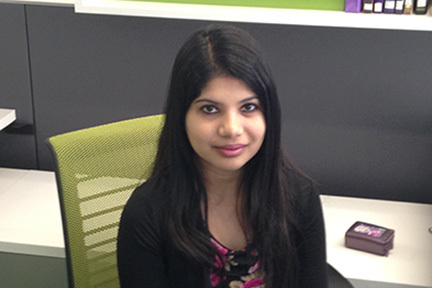 Shivani Sivasankar has been awarded a travel grant from the American Association for Clinical Chemistry. She is a 2018 graduate of the School of Medicine’s master’s program in biomedical and health informatics. The honor is a competitive award given to students who are the lead authors of research abstracts accepted for presentation at the association’s annual meeting. The association is an organization of more than 10,000 world-wide scientific and medical professionals dedicated to clinical laboratory science and its application to health care. Sivasankar will present her research at the organization’s 2018 national meeting in Chicago on July 29. She is one of only 15 students selected from an international pool of applicants for the grant. Her research abstract is titled “Use of National EHR Data Warehouse to Identify Inappropriate HbA1C Orders for Sickle-Cell Patients.” The project used information culled from Health Facts, a database of big data provided by Cerner in collaboration with UMKC and Truman Medical Centers. Sivasankar plans to continue her research studies at the School of Medicine in the fall when she enters the Interdisciplinary Ph.D. program with a primary discipline in bioinformatics.